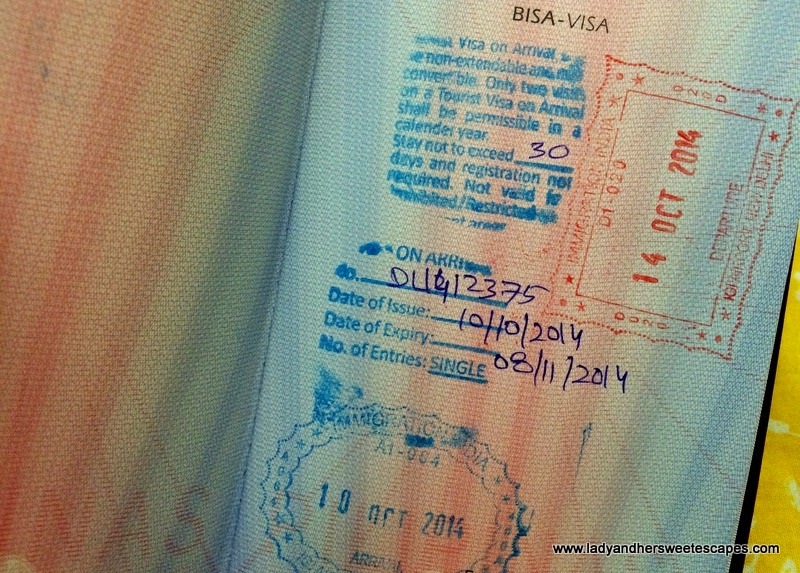 As of February 2015, Indian Visa on Arrival should be processed online! Please check the application process here: Indian Tourist Visa on Arrival. Ed and I, together with two of our friends, went on a Golden Triangle tour. I can't wait to blog about the memorable, mind-boggling and life-changing trip. 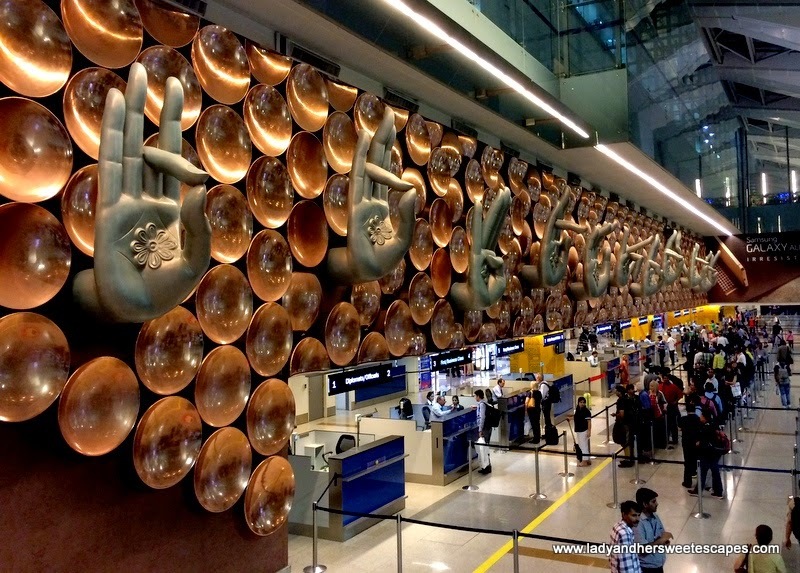 But before anything else, let me first share how we applied and successfully secured our Indian Tourist Visa on Arrival at Indira Gandhi International Airport in New Delhi. After a smooth three-hour flight from Dubai via IndiGo, we arrived at Indira Gandhi International Airport Terminal 3 ten minutes earlier than expected. New Delhi's airport is clean, well-designed and very organized; definitely beyond my expectations! 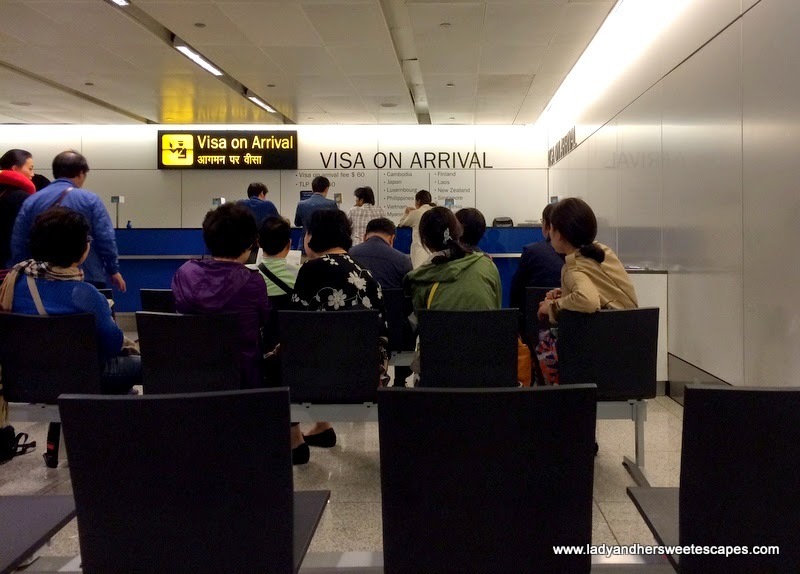 With high hopes that we can immediately leave the airport and head straight to a restaurant for a good dinner, we hurriedly went to the Passport Control counters and looked for the Visa on Arrival services. We found the Visa on Arrival service behind the escalator, a few steps away from the first passport control counter. Unfortunately, there was already a huge group of tourists when we arrived, hence it took us more than an hour to get our visa stamp. 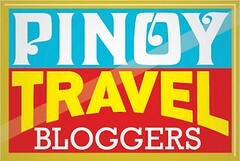 Tourist Visa on Arrival is only granted to citizens of eleven countries; the Philippines included. I filled out an application form and had all my important documents ready; a disembarkation or arrival card for foreigners, a passport copy and a passport size photo. Ed and I also prepared some supporting documents just in case we will be questioned about our short trip. We prepared copies of our UAE residence visas, the booking status and invoice from the travel agency, and a copy of our return trip ticket. For financial standing, we also printed our 2 months bank statement. When my turn came, the officer asked for my passport with the Visa application form, the arrival card, a passport copy and a photo. No questions and no additional documents were asked! The Visa on Arrival fee was at 60 USD. I was given the option to pay in Indian Rupees, in US Dollars, or in credit card. Since I have read in some blogs that using the card or paying in dollars usually cause delays, I paid in rupees. 60 USD was equivalent to 3,700 INR on that day. Eventually, paying in Indian Rupees pleased the officer. 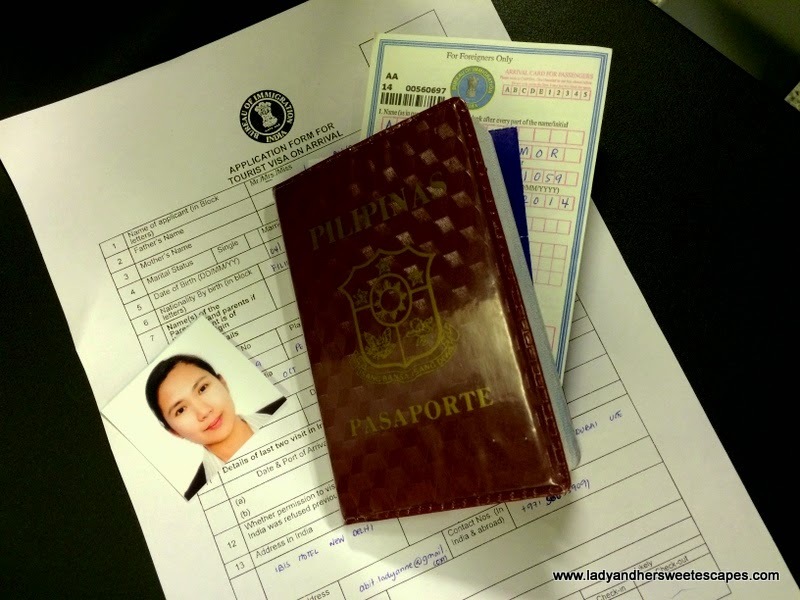 I immediately got my passport stamped with a 30-day single entry tourist visa! The wait was long, but it was that easy! The single entry visa is only valid for 30 days and can only be granted twice in a year for foreigners. For the complete listing of eleven nationalities that can obtain Indian Tourist Visa on Arrival and the list of airports wherein the visa can be granted, please visit the official website of Consulate General of India in Dubai. Hi,we are planning to go to India this February with my husband and my daughter who is 10 years old at the moment. We hold a residence visa in Bahrain except my daughter who's tourist visa was expired a year ago because. Do you think they would question her residency visa? Based on your encounter . Hey! I’m planning to celebrate my husband’s birthday in Sega Republic Theme Park in Dubai mall, an amazing place. 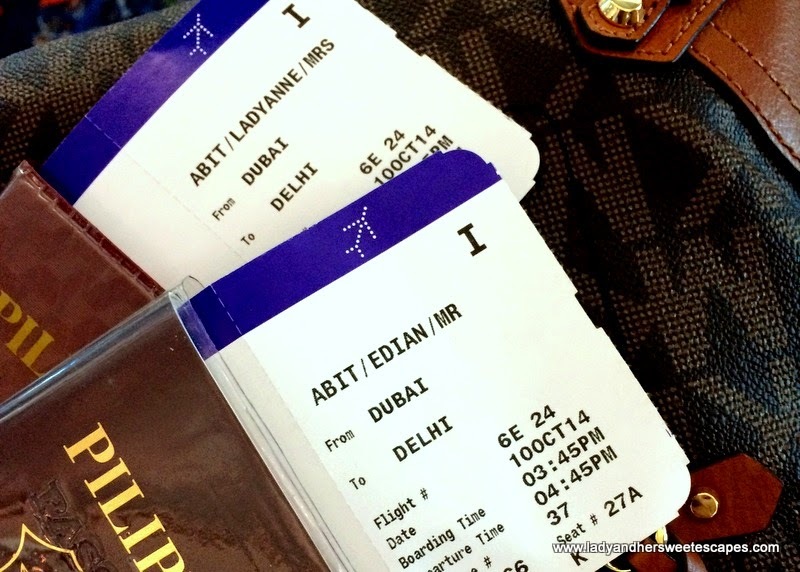 Your post is really helpful to me to make my Dubai journey easy. Now I’m just waiting for my express Dubai visa to travel to Dubai.